Prominent educator Walter Eugene Massey was born in Hattiesburg, Mississippi, on April 5, 1938. His father, Almar, was a steelworker and his mother, Essie, a teacher. Massey had an exceptional mind, even at an early age. By the time he finished 10th grade, his skills in mathematics were strong enough to earn him a college scholarship. Massey enrolled at Morehouse College in Atlanta, Georgia, and graduated with a BS in math and physics in 1958. While working on his master’s and doctorate degrees at Washington University in St. Louis, Massey conducted research on the quantum of liquids and solids. He received a PhD in 1966. Massey began his teaching career as an associate professor at the University of Illinois then moved to Brown University in 1970, becoming a full professor five years later. While teaching at both Illinois and Brown, Massey began to focus on the gap in the achievement levels between his black, Latino and white students. He commended the dramatic increase in college enrollment of minority students in higher education in the 1970s, but recognized the small numbers of these students in math and the sciences. To address this issue, Massey became a member of the American Association for the Advancement of Science (founded 1848), where he pushed for greater science literacy especially in schools with large numbers of black and Latino students. Eventually Massey became the first African American president of the organization. He also served as director of the National Science Foundation (founded 1950) from 1991 to 1993 where he promoted more opportunities for minority students in math, science and engineering programs at predominately white institutions. He also called for increased funding for programs in these areas for students in African American institutions. 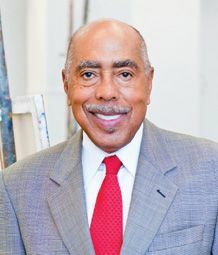 Between 1993 and 1995, Massey served as the University of California, Berkeley provost and senior vice president of academic affairs before being named president of his alma mater, Morehouse College, until his retirement in 2007. He has been a director of Bank of America since 1993 and currently serves as its chairman of the board. Massey was also was appointed chair of the Secretary of Energy Advisory Board in 1997 and was a member of the President’s Council of Advisors on Science and Technology during the terms of Presidents George Bush and George W. Bush. Over his career Walter Massey has received 30 honorary degrees. He and his wife Shirley Anne have two sons.